When two English brothers take the helm of a Barbados sugar plantation, nervousness and fear run high. 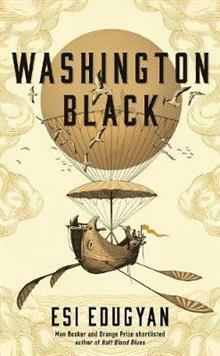 Washington Black - an eleven year-old field slave who has known no other life - is aghast to find himself selected as personal servant to one of these men. His new master is the... read full description below. When two English brothers take the helm of a Barbados sugar plantation, nervousness and fear run high. Washington Black - an eleven year-old field slave who has known no other life - is aghast to find himself selected as personal servant to one of these men. His new master is the eccentric Christopher Wilde - naturalist, explorer, scientist, inventor and abolitionist - whose single-minded pursuit of the perfect aerial machine mystifies all around him. Through Wilde, Washington is initiated into a world of wonder: a world where the night sea viewed from a hilltop shivers with light; where a simple cloth canopy can propel a man across the sky; where even a boy born in chains may embrace a life of dignity and meaning. Then, on a disastrous voyage of escape, Wilde disappears. Washington is forced to make his way back to the civilized world alone. One day, however, a man appears in the doorway of his new life, making claims of the past. Is this truly the long-lost Wilde? If so, what are the real motives for his return? And is it possible that his resurrection will destroy everything? Based on an infamous 19th century criminal case, Washington Black tells the story of a world destroyed and made whole again, where certainty seems unattainable, and men must remain strangers even to themselves.